ShanPen wrote: I played Yooka-Laylee for the first time today! I don't know if this is a glitch or if something just went wrong with my Switch (overheated?) but when I was in Tribalstack Tropics battling the minions to rescue the explorer skeleton lady, a black screen with an error message appeared saying something went wrong with the software and that the game would have to close and asked if I wanted to send an error report. When you do the Nimble race in TT, DON'T use that speedy roll move (the one that you charge up before you're dashing forward) and roll towards these tiny wooden bridges - you'll get stuck under it until Nimble wins (because it triggers a location change after that). But I'm quite certain it'll be forever if you're not playing the race. Holy crap! That's quite the glitch/bug/general error. Glad to say that's never happened with me on any Switch software. I'll make a special note in the opening post. Should be updated to what we've found thus far. Had that one too after starting Rextro's game in world 5 (right before the main loading screen). I should have taken a screenshot! If it happens again I will. When I played Glitterglaze Glacier for the first time yesterday I had problems when transformed into the snow plough; when I got to certain areas the game got massively slow/jittery so that it took forever to move and get out of the area, and the music also got all jittery. This was while playing the Australian version of the Switch game with the console docked (I haven't undocked it during the problem but I will try it if the problem happens again to see if it continues undocked). It happened in more than one area of the level, and happened several times in the same gameplay sitting when I went back to those areas. Here's a link to a 12 second clip of the problem (sorry about the not so great framing but I was trying to video with one hand and operate the Switch controller with the other). EDITED TO ADD: So I just went back into the level to try and replicate the fault, but it didn't do it today. Last edited by ShanPen on Fri Dec 22, 2017 12:10 pm, edited 1 time in total. Is anyone else playing Australian version? I'd be interested in knowing whether that's contributing significantly or not. I'll update the screen error thing with the arcade game and the snowplow issue. I hope we stop discovering problems soon! Aside from other things already mentioned, I have encountered something just today. I’ve been fighting the boss of Capital Cashino, I.N.E.P.T., and a couple of times when I’ve initiated the fight, my controls are locked. The only thing I can do is pause. I can’t jump, boost, brake, or shoot. Just ride along and take the damage until I’m dead. I exited to the main menu and then went back into the game. Works fine now. But that was indeed weird. During dialogue from afar (while doing a challenge), the player can’t jump, which is somethings rather deadly. (Encountered this in world 3 when doing a challenge for the talking pumpkin). Updated! I've decided to start putting the newer bugs up at the top of the list so that there is some kind of order going on... it was seriously just haphazard before. I may go back and add the date the bug was added to the list next to each one moving forward as well. Rueckkoppler wrote: During dialogue from afar (while doing a challenge), the player can’t jump, which is somethings rather deadly. (Encountered this in world 3 when doing a challenge for the talking pumpkin). baker_boy0017 wrote: Updated! I've decided to start putting the newer bugs up at the top of the list so that there is some kind of order going on... it was seriously just haphazard before. I may go back and add the date the bug was added to the list next to each one moving forward as well. Thanks for all your work keeping this updated and organised! I've been back to Glitterglaze Glacier several times and transformed into the snow plough trying to recreate that slowdown fault I had the first time, but it hasn't happened since. Hopefully it's just one of those "WTF?" moments only caused by some weird coincidence or combination of things that I just happened to be unlucky enough to stumble upon, and so is unlikely to be replicated? ShanPen wrote: Thanks for all your work keeping this updated and organised! You're welcome! Even if Playtonic doesn't get around to fixing some of these things, at the very least it can probably help them look out for bug as they develop their new games. Sounds to me like the GG transformation was just one of those "the stars are aligned" freak outs like you're suggesting. Still, Playtonic has a good idea of what variables are doing what and how things are loading, so I think these things are still great to report! I had been stuck in behind that diamond signpost because I pressed the wrong buttons and accidentally did the dash move instead of the sonic boom move, but after about 20 seconds of trying various moves I managed to free myself, and then I think the error happened within about a minute after I got free. This was the Australian version of the game, played with the Switch console docked, using the Switch pro controller. And this is a different TV and dock to the one I was playing on last time I got a black screen error, as I have two Switch docks. Updated. Gee Shan, you've having quite the time with these issues. Hope the rest of the game goes smoothly for you. 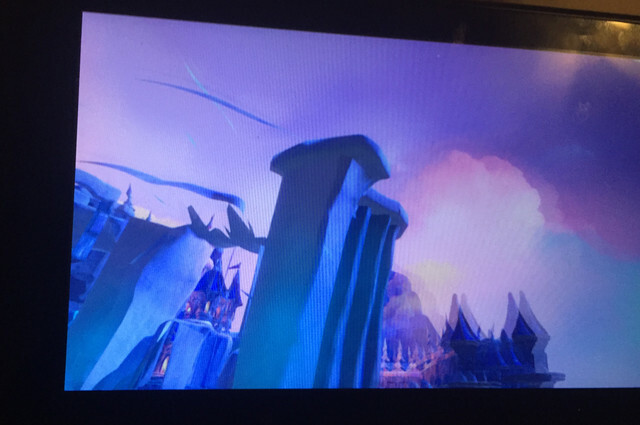 So I'm playing my first playthrough on the switch and while jumping around on some rocks in world 2 I found this really crazy glitch that sends you super high in the air in this weird kind of floating state. There's another spot you can do it too on the other side of the map but it pops you back down pretty quickly. There's probably other spots you can do it too idk.